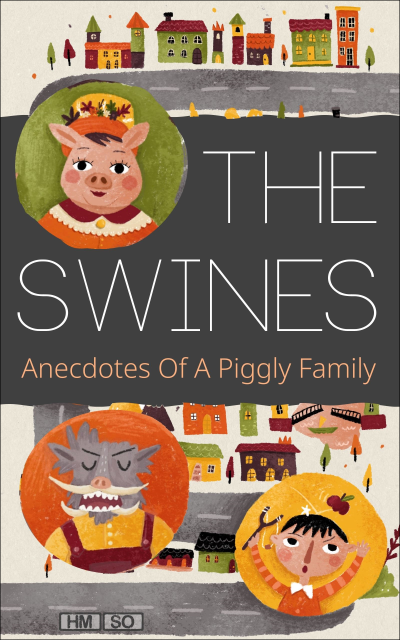 #BookReview of #TheSwines from #ReadersFavorite - https://readersfavorite.com/book-review/the-swines Reviewed by Rabia Tanveer for Readers' Favorite The Swines: Anecdotes of a Piggly Family by H.M. So can best be described as an eclectic read. On the surface, it seems like a harmless tale for children, but as you read on, you will realize that it is more than that. Describing the life of a unique family, the novel was hilarious, and the scenes were exaggerated at times, but as it was told from the point of view of a 12-year-old, it made perfect sense. Endearing and interesting, the story is almost a satire on our lives at the moment and it is pretty accurate. This is the story of Sam, a 12-year-old perfectly normal boy whose father is a warthog while his mother is a British Lop. A normal boy with swine parents who lives in California and is pretty happy with his life. The Swines live in their small town and love their small town lives. However, that does not mean they don’t have their issues too. What happens in their daily lives is entertaining enough for them and for readers. I cannot believe I am saying this, but The Swines is like Animal Farm only better. A page-turner for people of every age or gender, the novel is filled with witty little anecdotes, humorous situations and pretty impressive dialogues. While the author says it has no overarching plot, the story itself dishes out food for thought about the society that we are living in right now and what it makes us become for other people around us. This novel has layers that I enjoyed peeling away while wiping tears of laughter from my eyes.